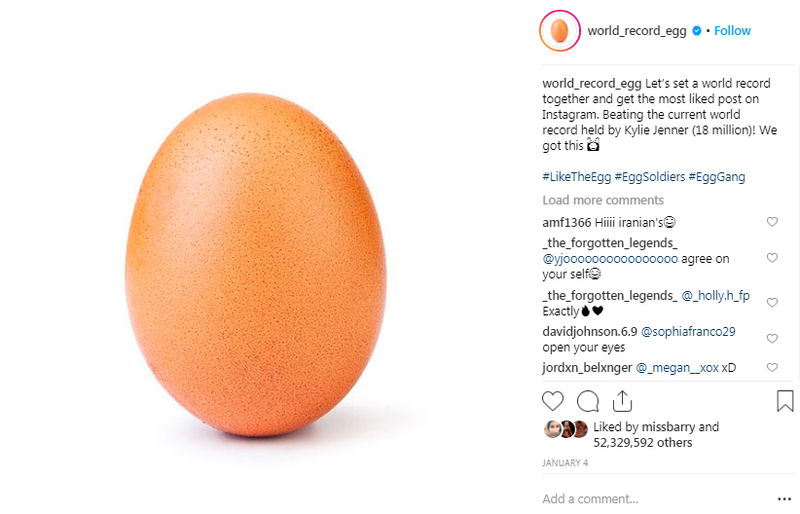 Anyone who has an Instagram account will have heard of the famous ‘EGG’ and if you haven’t quickly head over to @world_record_egg. But you have to be careful there are a lot of fakes flying around! However the real one is hard to miss with 10 million followers and over 52 million likes on the first photo. 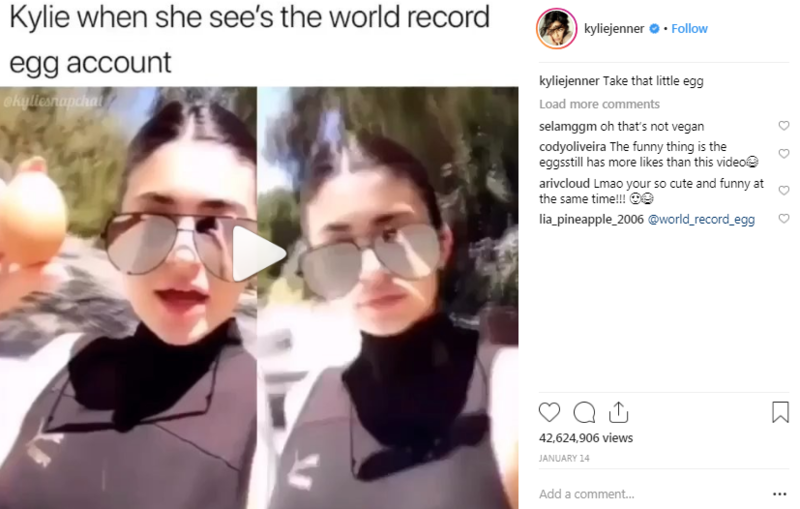 The photo originally set out to break the world record for becoming the most liked post on Instagram, beating the then current world record of baby Stormi on Kylie Jenner’s account which had garnered over 18 million likes when it was posted a year ago. Within days the Egg has reached the millions but it wasn’t until the media got wind of the news, the likes just kept coming. To many people’s delight the Egg has smashed records and the likes just keep on coming. And Kylie Jenner’s response to being taken of the top spot, well its hilarious. Since the first post on January 4th 2019 there have been five more EGG posts, each with a different caption and each showing a slight crack which gets bigger and bigger in each photo. Since the egg’s initial appearance many have suspected it was part of some viral marketing campaign. In what can be described as the most hotly anticipated social media reveal EVER, the reason behind the World Record Egg’s cracks was finally revealed. It has now been revealed that the egg is in fact part of a mental health initiative acting as a fitting metaphor for the crushing negative effects social media can have. In an animated video released on the account after the Super Bowl, the damaged egg introduced itself to the world before admitting that the pressure of its social media popularity was the cause of the previously seen “cracks”. Using the hashtag #talkingegg, it implores others facing similar struggles to reach out, talk to someone and seek help. We think this digital campaign is #eggcelent, what do you think? For more information visit talkingegg.info.